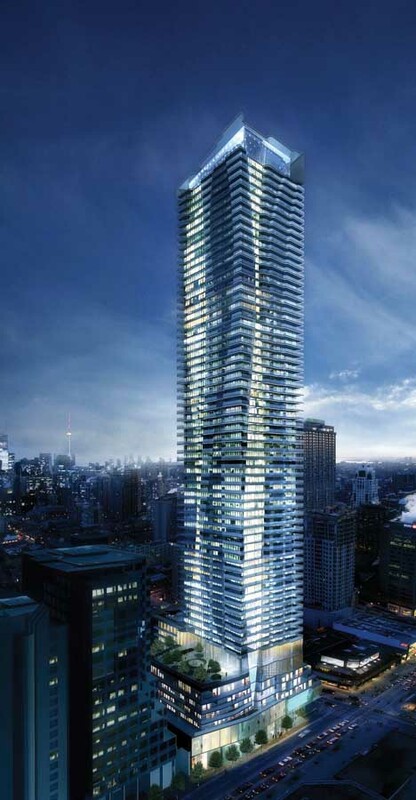 Hariri Pontarini Architects in collaboration with Great Gulf Homes has recently revealed the new design for One Bloor; a landmark for the city of Toronto. 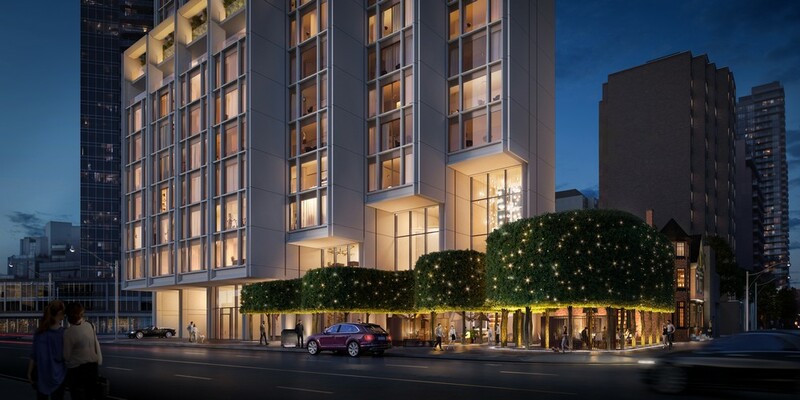 Toronto-based architectural firm Hariri Pontarini Architects in collaboration with Great Gulf Homes has recently revealed the new design for One Bloor—a mixed-use residential condominium tower at the south east corner of Yonge and Bloor Streets. The prominent location of the site has inspired a proposal embodying an urbane sculptural quality. Positioned at the south east corner of Yonge Street and Bloor Street, this notable site marks a location where two distinct subway lines converge, making it one of Toronto’s most prominent intersections. The northerly corners of the area were re-developed in the early 1970’s, but failed to celebrate the importance of this destination by locating the retail below grade. Re-developing this site with the goal of increasing density while contributing to the public realm with new connections to transit, street level retail and improved pedestrian thoroughfare is the source of both the constraints and opportunities which form the project. The new building will be the instrument restoring the urban experience of the street, while signifying the corner as a landmark location. 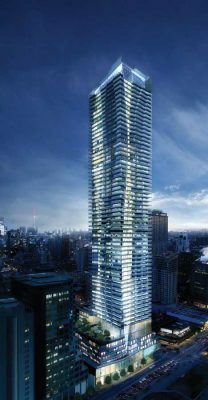 The building is comprised of a street level podium with retail and commercial space, and a 65-storey residential tower with sculpted undulating balconies. Carving into the existing zoning envelope, the six-storey podium steps away from the street with fluid terraces as it stretches northward; effectively eliminating an otherwise looming presence at the corner. This allows the tower to be present at the intersection without dominating the area and subsequently permits southern light to penetrate to the street below. The balconies produce a façade that possesses qualities of playfulness and control, which distinguishes One Bloor apart from the surrounding modernist high-rises. The interior core maintains a more regular form to avoid compromising the suites, and serves as the backdrop from which the curving facade emerges from. The fritted glass balconies pinwheel around the building, increasing in size for the preferential corner units, capitalizing on view and light. The flowing lines of the facade will carry through to the sloped rooftop above, and stretch out into the podium below; marking key entry ways into the building. This high rise residential tower includes Over 27,000 sq. ft. of resort-inspired amenities on the sixth and seventh floors designed by Cecconi Simone, plus an additional 19,000 sq. ft. of outdoor amenity space on the seventh floor by Janet Rosenberg + Associates, Landscape Architecture / Urban Design.